Goal 1: Bring the capabilities of Montana’s nationally competitive researchers to the attention of NASA. Goal 2: Build infrastructure to enhance Montana’s capabilities and expertise in areas of importance to NASA, focusing on institutions of higher learning. 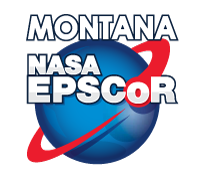 Goal 3: Use EPSCoR sponsored research to strengthen partnerships with Montana’s high-tech companies and drive the growth of Montana's aerospace-related economy. Goal 4: Focus on building nationally prominent, competitive research groups at Montana's major universities while also providing collaborative opportunities to faculty members at smaller institutions.